Next month, Apple is going to unveil its new iPhone, named as iPhone 6S, and now, we can have a overview from a leaked video, which shows us what iPhone 6S will look like, according to MacRumors. The leaked videos shows iPhone 6S logic board and display assembly paired with a number of iPhone 6 components such as the rear shell and battery to create a device that starts up enough to be able to display a screen showing a gear icon. The video shows the device booted to the gear screen and then opened, showing the various iPhone 6S and 6 components laid out and connected inside the rear shell. Several components such as the rear camera are missing, but there are enough parts present to deliver data to the iPhone 6S display. 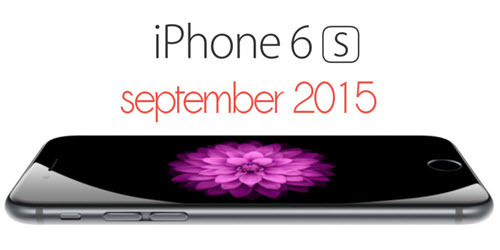 The introduction of the iPhone 6S and 6S Plus is expected to occur in just two weeks at a media event reportedly planned for Wednesday, September 9. So let’s wait and see what iPhone 6S will really look like. This entry was posted in iPhone 6S, News and tagged iphone 6s, iphone 6s video by IosdroneD. Bookmark the permalink.